Start-up businesses can get advice and make useful contacts at this year’s Business Start-up Show at the Excel in London on 6 and 7 June 2013. More than 20,000 companies will be heading to the event to improve and expand their businesses and, with all those people under one roof, networking is key. So how can you make sure you’re networking effectively, making a good impression and filling up your contacts book with useful numbers? Start-up businesses can get advice and make useful contacts at this year’s Business Start-up Show at the Excel in London on 6 and 7 June 2013. More than 20,000 companies will be heading to the event to improve and expand their businesses and, with all those people under one roof, networking is key. So how can you make sure you’re networking effectively, making a good impression and filling up your contacts book with useful numbers? Come up with a way of describing your business and its aims in just one minute and then practice it until you know it off by heart. That way you can quickly and fluently explain to people you meet exactly what your business does and why people should be interested. Be confident. It can be difficult to approach people you don’t know and start talking about your business, but remember, at business networking events everyone is in the same boat. Be honest. Don’t exaggerate your success or tell white lies about your business. It may be tempting to make out your business is doing better than it is, but the truth will always come out and it is important business contacts feel they can trust you. Make sure you have a good quality business card and take plenty of them with you when you are planning to network. Giving someone a card is an easy way of making sure they can contact you in the future and it needs to look professional. Make sure you follow up and contact the people you meet. Put aside some time in your diary to make contact, otherwise the networking has been pointless. With the ever-increasing use of email and websites, it is important to take the time to meet people face-to-face where possible. 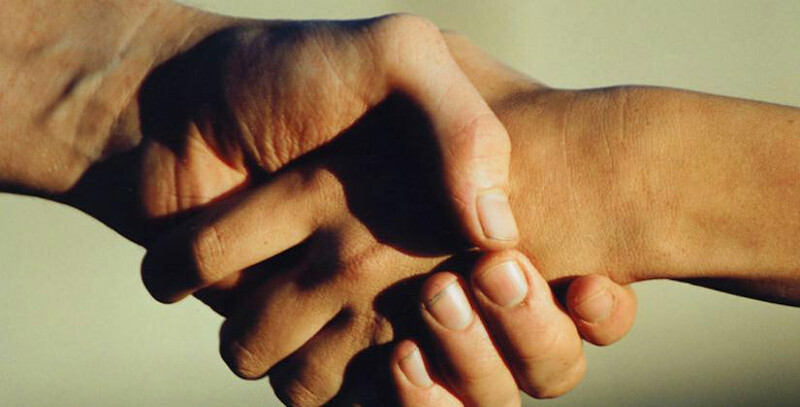 It is easier to build up a good business relationship when you have met someone in real life. And if you are a start-up business, it is particularly useful to set aside time to go to networking opportunities like the Business Start-up Show and events held in your local community. Networking helps you to spread the word about your business as well as meet people with skills you may need to improve your business. For example, you might meet a graphic designer who could come up with a winning logo for your company or a great supplier to help expand your range of products. You may also end up picking up some great advice and tips to help you take your business forward.